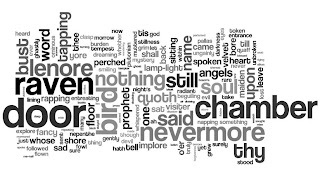 You probably would have guessed that raven was one of the most frequently used words in Poe’s “The Raven,” but the Wordle word cloud on the right makes the impact of that word visually obvious. Wordle is a free tool that can make a word cloud out of any text that is pasted into a form or by using the text on a webpage. It includes some choices for formatting, so that you can change the color and layout of the words. You can also omit commonly used words. The final cloud can be printed or saved. This post is the introduction from “July 11 to 16 on ReadWriteThink.” Read the rest of the post on Facebook. 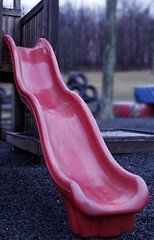 When learning stops during the summer, students suffer from what is referred to as the summer slide—a loss of ability and knowledge from the close of school in the spring to the reopening in the fall. Take advantage of the long summer days, and prevent summer learning loss with Thinkfinity’s fun, interactive games and activities. In addition to online games and engaging summertime activities, you’ll find recommended reading lists as well as a discussion forum where parents and educators can interact. For a review of the resources on ReadWriteThink, watch the new Engaging Students After School and at Home video, and check out the calendar entries, lesson plans, and classroom activities below for more classroom and summer ideas. Have a great week! 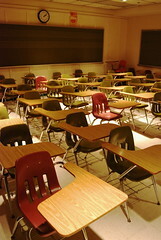 Take advantage of long summer days and prevent learning loss with Thinkfinity.org’s Summer Learning collection. Celebrate Flag Day with Thinkfinity.org lessons and activities. Tap the Parent & Afterschool Resources on ReadWriteThink for a range of activities for K–12 students (ages 4–18), including such activities as going on a reading hunt, exploring nature, directing summer blockbusters for favorite books, and blogging about career options. Look ahead to next week for lesson plans and activities on Anne Frank’s diary, Flag Day, and the birthdays of author Brian Jacques and Chris Van Allsburg. As a teacher, how do you inspire students to learn more during the summer? Share your ideas on the Thinkfinity Community. Make the most of Thinkfinity.org by adding it to your social network! What are some good lessons that teach about Internet safety? What do you find most rewarding about being an educator? How do you inspire your students to learn more over the summer? What resource rocked your classroom this year? Share a resource that most surprised you and sample a few that other teachers have shared. If you have feedback or questions about ReadWriteThink, all you have to do is contact us. It’s the time of year when spelling exotic words that you’d never use in day-to-day communication is all the rage. The final rounds of the Scripps Spelling Bee take place, with daily coverage on ESPN. So while the Spelling Bee may get kids and their families interested in spelling for a few days, take a look at the spelling lesson plans and activities on ReadWriteThink for ways to support every student (not just the ones who can spell funny words like weissnichtwo. And check out the calendar entries, lesson plans, and classroom activities below for more classroom-ready ideas. Have a great week! Are your budding scientists eager to discover what makes plants grow? Check out The Science of Spring from Science NetLinks and watch students’ imaginations bloom. Find more resources to kick off a summer of learning from our partners on Thinkfinity. Look ahead to next week for lesson plans and activities on the Crystal Palace, the first sale of ice cream, and the birthdays of authors Cynthia Rylant and Nikki Giovanni. Follow, friend, and connect with all the Thinkfinity partners with this collection of links to where to find us online. How do you motivate the unmotivated? Now that classes are nearly over, it’s that time when I begin reflecting on the year and deciding which activities I want to be sure to try again next year. I try to think of the resources that surprised me or particularly engaged students. 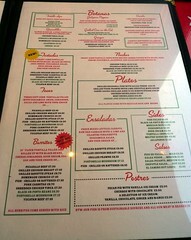 One of my favorites is Cooking Up Descriptive Language: Designing Restaurant Menus. It gave students a chance to compose menus that reflected their family and cultural backgrounds, and they were able to learn more about text design and layout. I’ll definitely try it again, and I’m considering other possibilities for the activity, like using it as a book report alternative by asking students to create a menu for a restaurant that characters in a novel visit (or might visit). It was definitely a keeper! For more great classroom activities, check out the calendar entries, lesson plans, and classroom activities below for this week. Have a great week! Share the stories of war, sacrifice and honor of these heroic women and men with your students with this special collection of lessons, interactives and resources on Honoring Our Military. Help students understand the science of spring with lessons and activities from Thinkfinity.org, including The Science of Spring from Science NetLinks. Explore the universe with your students. Launch rockets, explore planets and test gravity with lessons and interactive tools. Make the most of summer. Use the Verizon Thinkfinity resources to kick off a summer of learning for students. Look ahead to next week for lesson plans and activities on Memorial Day, the National Spelling Bee, the debut of CNN, Jesse James, and Walt Whitman. Join the Parents & Families group in the Thinkfinity Community to connect with other parents, ask questions from our guest teachers, and learn more about Wonderopolis® and the other resources that will have your kids enjoying science, math, reading and more. The end of the school year is fast approaching. What do you do in the classroom to help students mark their accomplishments—and keep them focused on the work that remains? The school year is soon coming to a close. Students will make their way to summer camps, family vacations, and nearby pools and parks. Before you face that room of empty desks, spend a few minutes thinking about the resource that worked best for you this year, make plans to reflect with students on all you’ve done during the year and encourage families to keep students learning during the summer months. Check out the calendar entries, lesson plans, and classroom activities below for this week and the approaching last weeks of the school year on the ReadWriteThink site. Have a great week! Create digital scrapbooks to reflect on the story year with the grades 6–8 lesson Making Memories: An End-of-Year Scrapbook. Celebrate Asian Pacific Heritage Month with lessons and activities from Thinkfinity.org. Explore lessons and activities about the Freedom Riders and challenge your students’ thinking about race relations in the 1960s vs. today. Look ahead to next week for lesson plans and activities on Mister Rogers’ Neighborhood, the Brooklyn Bridge, astronaut Sally Ride, and authors Ralph Waldo Emerson, Scott O’Dell, and Rachel Carson. In her Community Story, Jacquelynn Pleis describes how she uses ReadWriteThink’s Exploring and Sharing Family Stories lesson plan as part of a year-end celebration of students’ cultural backgrounds. If you don’t have time for the kind of cultural fair that Pleis describes, try one of the cultural or historical events from this week’s calendar. You can look at music and the blues, civil rights in the U.S., and the Puerto Rican Independence movement. For a wider focus, ask students to talk about their personal heroes, whether cultural, historical, or both, as part of a celebration of Star Wars creator George Lucas’s birthday. Finally, May is Asian Pacific American Heritage Month, so it’s a wonderful time to honor the heritage of Asian and Pacific Americans and their contributions to the United States. Find lesson plans and classroom activities to kick off your cultural and historical exploration plus what’s new on the ReadWriteThink site detailed below. Have a great week! Discover ways to use Engage Students After School and at Home with our newest ReadWriteThink ReView video. Explore the National September 11 Memorial and Museum with your students. Look ahead to next week for lesson plans and activities on the first Academy Awards ceremony, Raymond Carver, Malcolm X, and Charles Lindbergh. Get connected! Join our group focusing on all things reading and language arts. Find New Asian and Middle East Resources from NEH and new group in the Thinkfinity community for Parents & Families. Keep students at the center of learning by checking out the recorded sessions from the Supporting Students in a Time of Core Standards Virtual Conference Series. May is Get Caught Reading Month, a nationwide public service campaign launched by the Association of American Publishers to remind people of all ages how much fun it is to read. The celebration is supported by hundreds of celebrities, including LL Cool J, Dylan and Cole Sprouse, and the newest addition, Olivia the Pig. This week on ReadWriteThink, you can find activities for Get Caught Reading Month and many other events as well as other lesson plans and classroom resources. Have a great week! What’s a TV writer’s day like? Learn how to write a TV script from The Simpsons’™ Michael Price on Wonderopolis. The NCTE Media Literacy Award is presented to an individual, team, or department that has implemented and refined exemplary media literacy practices in their school environment. Application deadline: June 30. Celebrate the launch of the Space Shuttle Endeavor with some Astronomy Poetry or a Virtual Moon Trip, and look ahead to May 26, the birthday of Sally Ride, first American woman in space. Listen to A Conversation with Matthew Quick, the latest episode of Text Messages: Recommendations for Adolescent Readers. Need K–5 book ideas for the summer? The latest episode of Chatting About Books: Recommendations for Young Readers focuses on Summer Series. May 1: Asian Pacific American Heritage Month is in May! Students consider the portrayal of Asians in popular culture by exploring images from classic and contemporary films and comparing them to historical and cultural reference materials. Look ahead to next week for literacy activities on blues legend Robert Johnson, Newbery Medalist Christopher Paul Curtis, the Puerto Rican Independence movement, and Star Wars creator George Lucas. What do you do to encourage students to keep reading during the summer? Share some ideas in the Reading & Language Arts group in the Thinkfinity Community. How do you motivate the unmotivated? Share your ideas in the Thinkfinity Community forums. Do you learn best through direct instruction? Do you learn new material best through lecture or hands-on activities? Read about a recent study and share your experience. If you have feedback or questions about ReadWriteThink, all you have to do is contact us. Have a great week! April 30 is El Día de Los Niños/El Día de Los Libros (Children’s Day/Book Day). Developed under the leadership of author Pat Mora, this celebration focuses on providing children with books in many languages and making reading an integral part of their lives. El Día de Los Niños/El Día de Los Libros is supported by the Association for Library Service to Children, a division of the American Library Association (ALA), and REFORMA, an ALA affiliate that provides library and information services to Latinos and the Spanish-speaking community. This week on ReadWriteThink, you can find activities for El Día de Los Niños/El Día de Los Libros as well as other lesson plans and resources for timely classroom activities. Have a great week! Complete our 9-question survey by the end of the week to help improve our collection of resources in Spanish. The survey closes April 30. Explore Thinkfinity’s classroom resources on baseball & spring fitness. There is something for every classroom! Look ahead to next week for literacy activities on Get Caught Reading Month, Asian Pacific American Heritage Month, Teacher Appreciation Week, the founding of National Public Radio (NPR), and Cinco de Mayo. Connect with teachers across the country and around the world in our Reading & Language Arts group in the Thinkfinity Community. Keep students at the center of learning by registering today for the Supporting Students in a Time of Core Standards Virtual Conference Series. April is both National Poetry Month and National Humor Month. Celebrate by having students write funny poems and perform them for their classmates. Try using interactive poetry tools, or challenge your students to create a video about their written work to share with others. For more ideas, check out how others bring humor and giggles into their classrooms on the Thinkfinity Community. This week on ReadWriteThink, you can find more resources for timely classroom activities. Have a great week! Prepare to celebrate El Día de Los Niños/El Día de Los Libros (Children’s Day/Book Day) next week with resources from the ReadWriteThink calendar. Share our new collection of tips and activities translated into Spanish with families to help children develop as skilled readers and writers at home. April 18: Paul Revere began his famous midnight ride in 1775. Look ahead to next week for literacy activities on the Library of Congress, the bombing of Guernica, and the birthdays of Coretta Scott King, August Wilson, Lois Duncan, and Yusef Komunyakaa. Gather family stories, oral histories, and timelines for Preservation Week April 24–30, 2011. Find details in the Reading & Language Arts group. 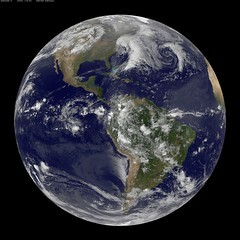 It’s nearly Earth Day! Energize students about preserving the environment with eco-friendly classroom lessons and interactive games from Thinkfinity.org. This week on ReadWriteThink, you can find more resources for Earth Day and other poetry activities, lesson plans, and calendar resources to support you. Have a great week! Prepare students and their families for Drop Everything and Read Day (April 12) with the new Make Time for Reading tip sheet. Work with Spanish-speaking families? ReadWriteThink has a new collection of tips and activities translated into Spanish for use at home that you can use to explain how families can help their children develop as skilled readers and writers. Talk about the 150thanniversary of the U.S. Civil War with Thinkfinity classroom resources. International Reading Association launches Learning Pages partnership with ePals to engage schools, parents, and students across the entire suite of ePals products with their own collaborative programming. April 15: The RMS Titanic sank on this day in 1912. Use the Internet Workshop model to explore web links about the Titanic disaster. Look ahead to next week for literacy activities on Paul Revere’s midnight ride, Earth Day, and the birthdays of writers William Shakespeare, Mary Hoffman and Barbara Park. Connect with teachers across the country and around the world in our Reading & Language Arts group forum in the Thinkfinity Community. Get great ideas for using online video tools from the Online Tools for Educators group, including ideas for digital storytelling. 2011 marks the sesquicentennial or 150th anniversary of the Civil War. Sign up for the Civil War Stories from the Smithsonian’s History Explorer, a 30-minute webinar on April 20th at 4pm or on April 23 at 1pm. Learn how to train other educators to use Thinkfinity in the classroom. Apply now for the 6-week course. Deadline: April 19.